Even though it feels like it was yesterday that I attended the BareMinerals Complexion Rescue event (post here) and as I said I'd do a proper review of the tan once I'd scrubbed my fake tan off and here we go a review for you. Some things are better late than never. What is unique about Complexion Rescue is the fact that the shades adapt to your skin, so if you do happen to pick a shade lighter or darker than your skin tone, the product will adapt. I was matched to Vanilla 02 which is a pretty good match to my skintone (Mac NW15-20 for reference), however this is also the shade which Tor is matched too and her skintone is much fairer than mine. 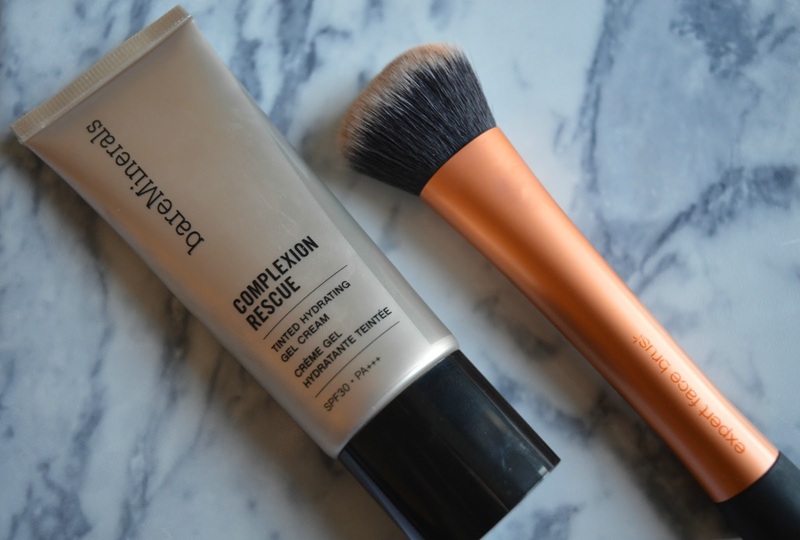 Complexion Rescue is a hybrid between a BB cream, CC cream and a tinted moisturiser and provides a sheer to medium coverage. Personally I find this idea for day to day wear, not so much for nights out as I prefer more of a fuller coverage, Also it contains an SPF of 30 - yes 30, so by wearing this you know that your face is protected if you don't use a separate SPF. Unlike other foundations which I use, this contains marine botanical to help replenish dry skin. Now as I work in an office which has air con blasting 24/7 I'd noticed that my skin was getting quite dry. This isn't a problem any more as I've changed my diet and I'm consuming more water, however you never know this may have also improved it. Can't believe this make up, it looks fab!